This concert tells the story of the swift rise of Russian pianism during the Romantic period in music, offering a unique chance to hear the melodies of Glazunov and Blumenfeld in their historical context. Daniel Grimwood’s interest in Russian music was awakened in his childhood through his friendship with the scholar Richard Beattie Davis, who introduced him to the music of Blumenfeld, Glazunov, and also Henselt, the great German composer, pianist and teacher who made Russia his home. Daniel's own concerts, recordings and teaching reflect this friendship, and he has continued Davis’s work generating interest in the music of Henselt and the effect it had on generations of Russian composers and pianists to follow. 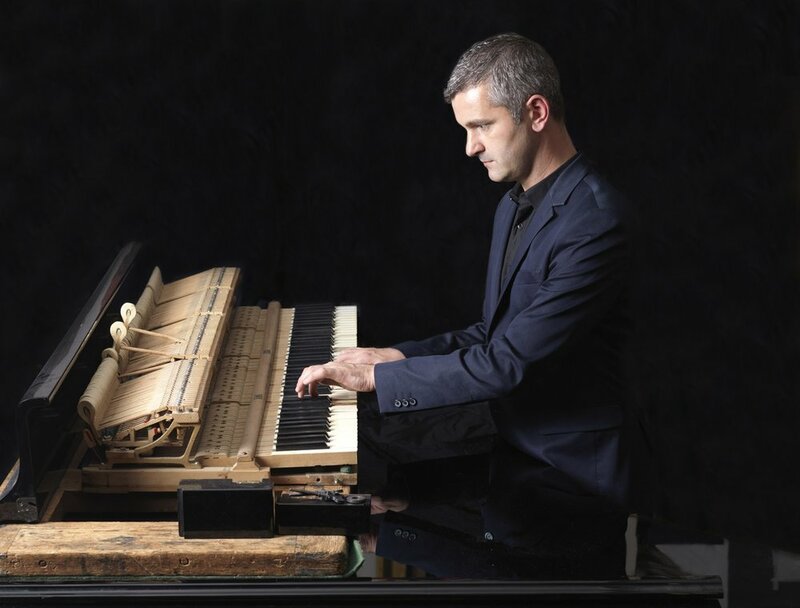 Pianist Daniel Grimwood is an internationally acclaimed performer, combining an exceptional talent, rare versatility and refinement, with an inquisitive personality. With a repertoire ranging from Elizabethan Virginal music to the works of living composers, he enjoys a solo and a chamber career, which has taken him across the globe. He performed on the most prestigious concert platforms, including the Wigmore Hall, Queen Elizabeth Hall and the Purcell Room in London, Saffron Hall, Bridgewater Hall in Manchester, Symphony Hall Birmingham, the Sage Gateshead, the Three Choirs Festival, the Rachmaninoff and Gnessin Halls in Moscow, the Carnegie Hall in New York, as well as venues in Germany, Austria, Italy, The Netherlands, Slovenia, Estonia, Taiwan, Azerbaijan, Egypt, Lebanon and Oman. He began playing next door’s piano at the age of 3, and from the age of 7 he was performing in front of audiences. His training continued with Graham Fitch at the Purcell School, where he also studied violin, viola and composition, which gave him a broad appreciation of classical music, and later with Vladimir Ovchinnikov and Peter Feuchtwanger. Although primarily a pianist, he frequently performs on harpsichord, organ, viola or composing at his desk. Grimwood is a passionate exponent of the early piano, and has given a recital of Chopin’s Etudes on the composer’s own Pleyel piano. Grimwood regularly performs on live broadcasts on BBC Radio 3 and has been featured in BBC Four’s TV documentary series “Revolution and Romance”. His media work continues with performances and video masterclasses in the “Piano Masterworks” collection on Tido Music, a new iPad app launched in 2016. "He has all the virtuoso velocity and firepower, and then some"
"Daniel Grimwood, fast making a name for himself as an original and discriminating musician"